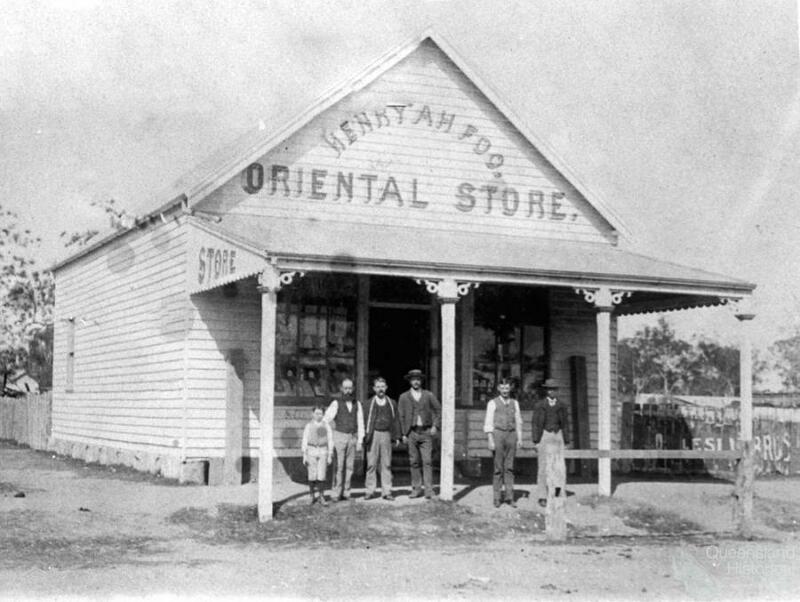 Trade and commerce were key components of the nineteenth century Chinese community of Queensland, and there was a range of business types. At the apex were the large general stores. They dealt in a wide range of Asian and general goods and produce, including the wholesaling of alcohol, and actively sought the custom of both Chinese and Europeans. Many imported and exported goods within Australia and Asia and had business linkages with market gardens, mining teams, packers and other merchant firms. They tended to be the main financers of Chinese immigration, acting as shipping agents, labour brokers, bankers and lenders of credit. Through their international shipping links they were able to access a wide range of exotic Chinese and Asian merchandise. 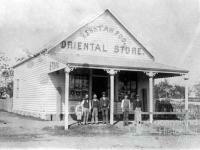 Throughout Queensland there were also a large number of Chinese-run hotels, boarding houses and restaurants. While some of these catered more for the Chinese population, and did not always have a victualler’s or publican’s licence, there were those, such as Sea Wah’s Queensland Hotel in Cooktown, that were large, respectable and well-patronised by the broader community. Part of their appeal was the excellent food prepared by the Chinese cooks as well as the general reputation the proprietors gained for being fair and generous with matters of lending credit. The bulk of the Chinese mercantile sector consisted of small scale-businesses. Due to the prominence of the Chinese in market gardening, many of these were green grocers and fruiterers. While some of these retailers operated out of modest shops or footpath stores, others worked as the door to door ‘cabbage vendors’ that became part of the street life of Queensland’s early towns. These smaller traders also included butchers, especially pork shops, opium dealers, furniture makers, tailors, jewellers and, in coastal areas, fishmongers. Most conducted businesses within buildings they shared with other traders, or to some degree offered other services, and so quite often a range of activities occurred within a single shop.